At this year’s NATS National Conference in Chicago, attendees will have the opportunity to take part in two pre-conference Special Events that will allow them to spend an afternoon with the likes of Grant Wood’s American Gothic and the Chicago Water Tower & Pumping Station. The two Special Events -- an Afternoon at the Art Institute of Chicago, and the Chicago Architecture Foundation River Cruise – will enable attendees to broaden their knowledge of Chi-Town and its renowned art and architecture. Afternoon at the Art Institute of Chicago: A private tour of the Art Institute of Chicago with Joyce Robinson, curator at the Palmer Museum of Art at Penn State and wife of NATS president Norman Spivey. The tour will focus on highlights from the modern French and American collection. The visit may also include a stop at the museum's Caffe Moderno for a light snack and a beverage and the Museum Shop. Space is limited to 20 people. Attendees provide their own transportation to/from the Art Institute of Chicago. Tickets: $30 per person (tickets must be purchased in advance); snacks and beverages are at attendee expense. Chicago’s First Lady Architectural Tour: Named Chicago's #1 Architecture Tour, the official Chicago Architecture Foundation River Cruise highlights more than 50 architecturally significant buildings and is led by passionate volunteer docents (guides) from the Chicago Architecture Foundation. 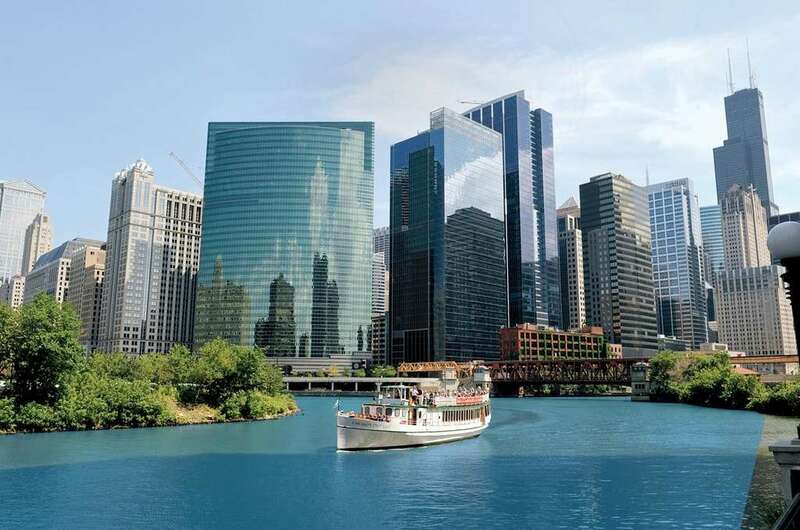 The cruise departs from the Magnificent Mile on the Chicago Riverwalk and travels all three branches of the Chicago River. Cruise vessels offer open-air front-row seating, air-conditioned salons, full-service bars and well-appointed restrooms. Tickets: $45 per person (includes tour and bus transportation to and from hotel). Conference attendees can register for either Special Event when registering for the 2016 Conference on the Conference Registration page.